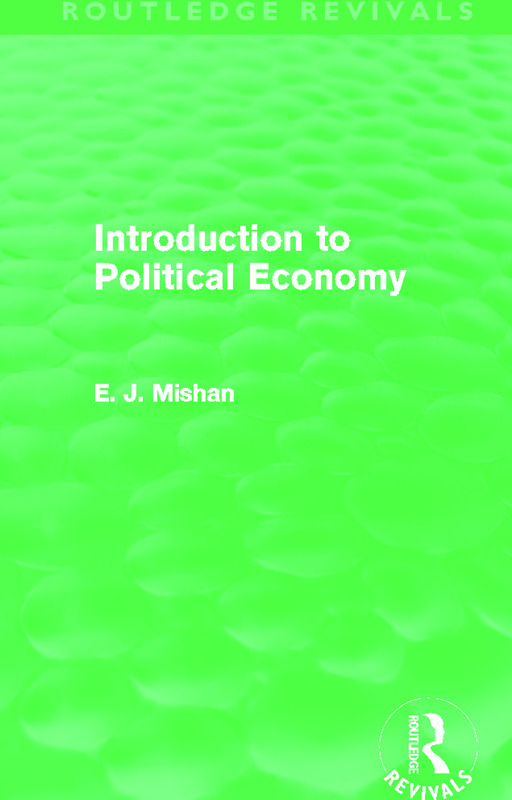 First published in 1982, Introduction to Political Economy is a clear and concise introduction to the normative aspects of economics by one of the world’s leading authorities on the subject. In this highly readable book, Professor Mishan takes the student to the heart of the subject without recourse to algebra and with only the simplest of diagrams. The author carefully distinguishes the various meanings of the terms political economy, normative economics, welfare economics and allocative economics. He considers the standard allocation rules and the crucial concepts of consumer surplus and rent, which are so important to cost-benefit analysis, while then going on to resolve the paradoxes of the efficiency criterion. Lastly, Professor Mishan assesses both the social worth of radical conservatism, which is associated with the Chicago School of Economics, and the relevance of the modern theory of welfare economics to social welfare.